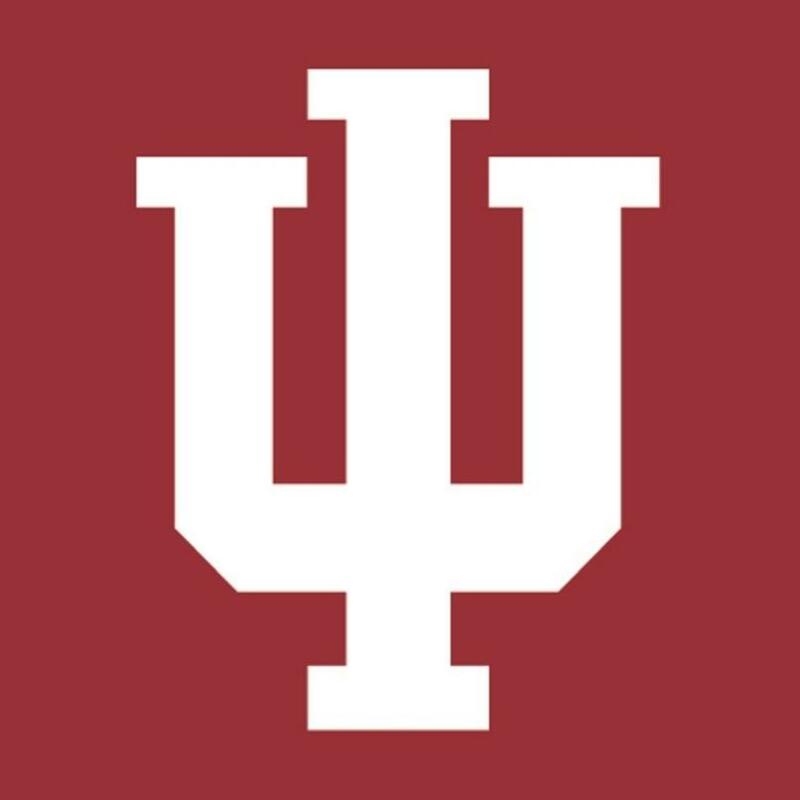 IU under coach Ray Looze has evolved. It is becoming the place to go for post grads–a pro training destination. 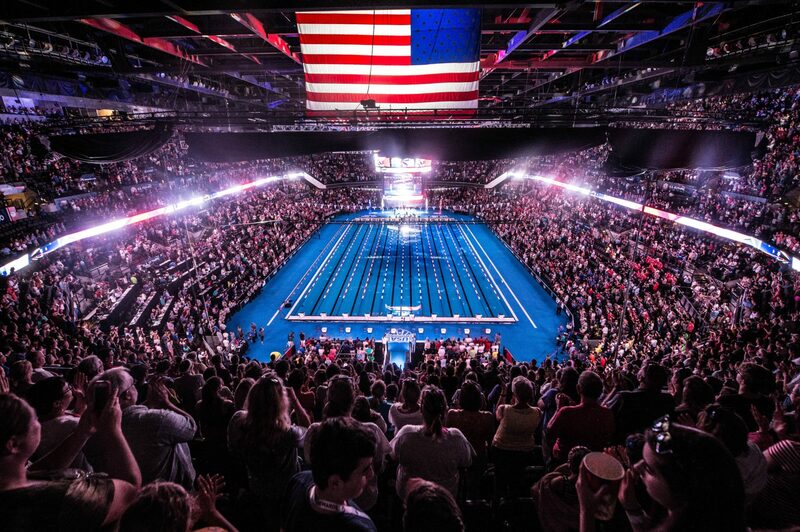 How will the IU pro group impact the 2020 U.S. Olympic Team next summer? Blake Pieroni is an american sprint freestyle specialist from Indiana. At Chesterton High School Pieroni helped his team to state titles his junior and senior year before deciding to stay close to home and attend Indiana University. 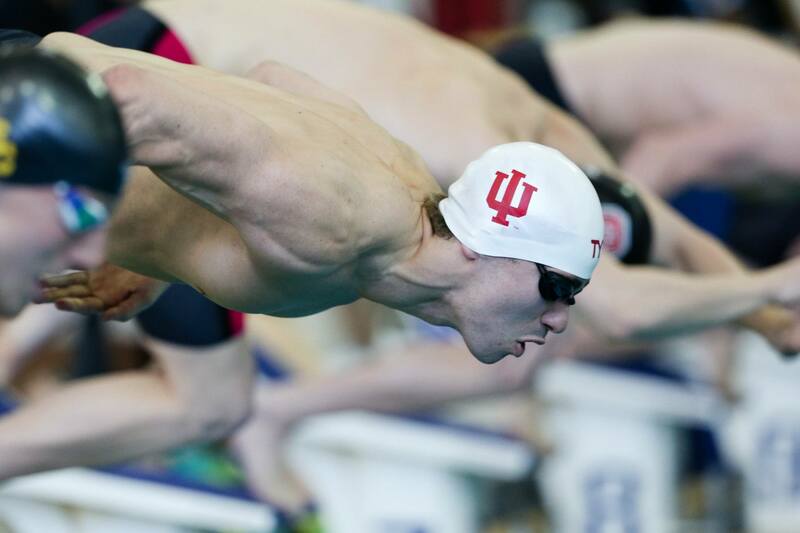 In his freshman year in Bloomington, Pieroni was named Big 10 co-freshman of the year. At the NCAA Championships his highest finish came in the 200 yard freestyle with a 4th place. In the relays Pieroni helped Indiana to a 5th place in the 800 yard freestyle relay, 14th in the 400 yard freestyle relay, 17th in the 200 yard freestyle and 400 yard medley relay. At the NCAA Championships his sophomore year, Pieroni placed 8th and 10th in the 200 and 100 yard freestyle. In the relays, Pieroni helped indiana to a 4th place in the 400 yard freestyle relay. Pieroni picked up his first NCAA medal in his junior year at the meet. He tied for the silver medal in the 200 yard freestyle with USC’s Dylan Carter in 1:31.16 behind Texas’ Townley Haas. Earlier in the week, Pieroni posted the second fastest 200 yard freestyle of all-time in the lead off leg of the 800 yard freestyle relay. He lead Indiana off with a 1:30.87 split. Indiana went on to finish 9th in the event. Pieroni earned All-American First Team honors in the 100 yard freestyle, finishing 8th in 41.85; the 200 yard freestyle relay, tying for 7th and 400 yard freestyle relay touching 8th. He also finished 23rd in the 50 yard freestyle. 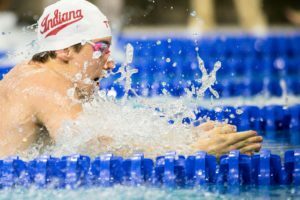 With the first swim of the 2018 NCAA Championships, Blake Pieroni marked his name in the history books. 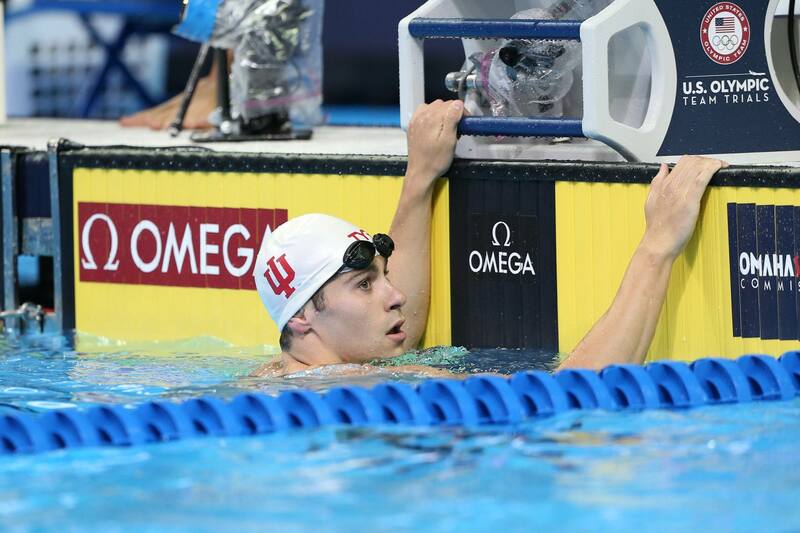 Leading off Indiana’s 800 free relay (which ultimately got 2nd in 6:06.01), Pieroni swam a 1:29.63, breaking the NCAA, U.S Open, and American record by over half a second and marking him as the first human ever to break the 1:30 barrier in a 200 free. 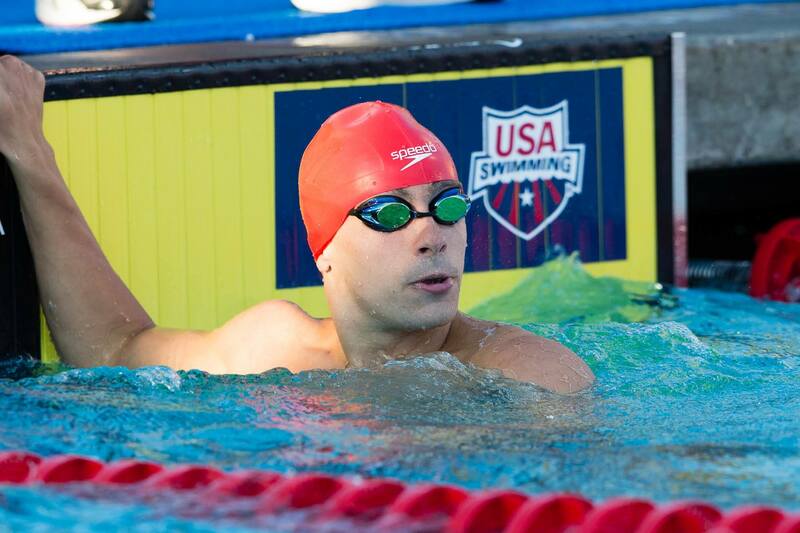 Pieroni made his international debut at the 2013 World Junior Championships where he won a bronze as a member of the 800 meter freestyle relay. He also took 16th in the 200 meter freestyle. A year later, he was back in the stars and stripes uniform, this time at the Junior Pan Pacific Championships. With some experience already under his belt, Pieroni found himself a regular on the podium. 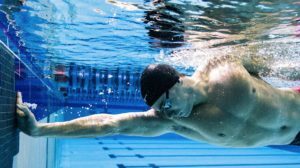 He earned silver medals in his individual events, 100 and 200 meter freestyle and took gold as a member of the 800 meter freestyle relay. Pieroni qualified for his first Olympic Games with a 6th place finish in the 100 meter freestyle, earning him a spot on the 400 meter freestyle relay. He also swam the 200 and 50 freestyle finishing 12th and 36th respectively. Pieroni won his first Olympic medal, a gold, in Rio for his heat swim in the 4×100 meter freestyle relay. He took over for the third leg a swam a 48.39 split to help USA qualify first for the finals. Caeleb Dressel, Michael Phelps, Ryan Held and Nathan Adrian went on to take the gold in 3:09.92. 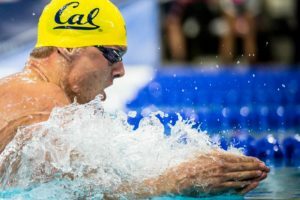 Pieroni qualified for his first senior World Championships with a 6th place finish in the 100 meter freestyle to earn a place as an option for the 4×100 meter freestyle relay in Budapest. A day later he cemented his spot on the roster with a silver medal in the 200 meter freestyle to give him an individual and another relay. 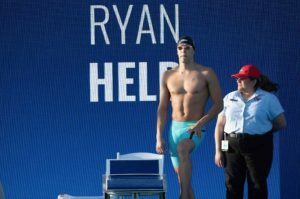 He swam a new best time of 1:46.3o to finish behind Townley Haas. 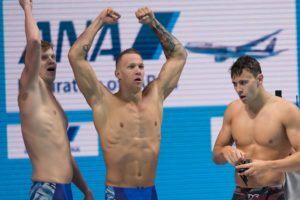 Pieroni helped Team USA (Caeleb Dressel, Townley Haas & Nathan Adrian) to a gold medal performance in the 4×100 freestyle relay on day one of World Championships in a time of 3:10.06. Teammate Caeleb Dressel leadoff the relay in a new American record 100m freestyle – 47.26. He backed that relay up with a bronze medal in the 4×200 meter freestyle relay. Pieroni lead Team USA off in 1:46.33 to put them in second place behind Russia. Townley Haas, Jack Conger and Zane Grothe followed to combine for the bronze medal in 7:03.18. Pieroni won the 100 freestyle (48.08) and was runnerup in the 200 freestyle (1:45.93) and at the Phillips 66 National Championships, both personal bests. He finished fifth in the B final of the 50 freestyle (22.56), and 13th overall, after swimming a personal best 22.50 in the prelims. On the first day, Pieroni qualified for the B-final of the 200 free, where he barely beat out USA and Indiana teammate Zach Apple for the win in 1:46.68. Day 2 was similar, with Pieroni making the B-final in the 100 free, and narrowly clipping Nathan Adrian for the win in 48.21. 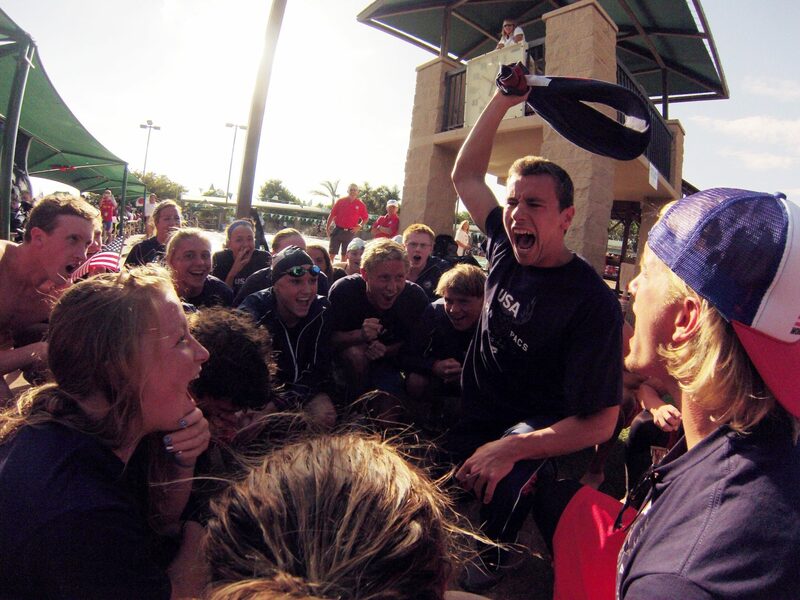 That same night, Pieroni earned his first medal by going 2nd (1:47.63) in the winning men’s 4×200 free relay. On day 3, Pieroni went 3rd in the 4×100 free relay, splitting 47.72 to aid USA to the gold, but they would ultimately be disqualified for swimming in the wrong order. 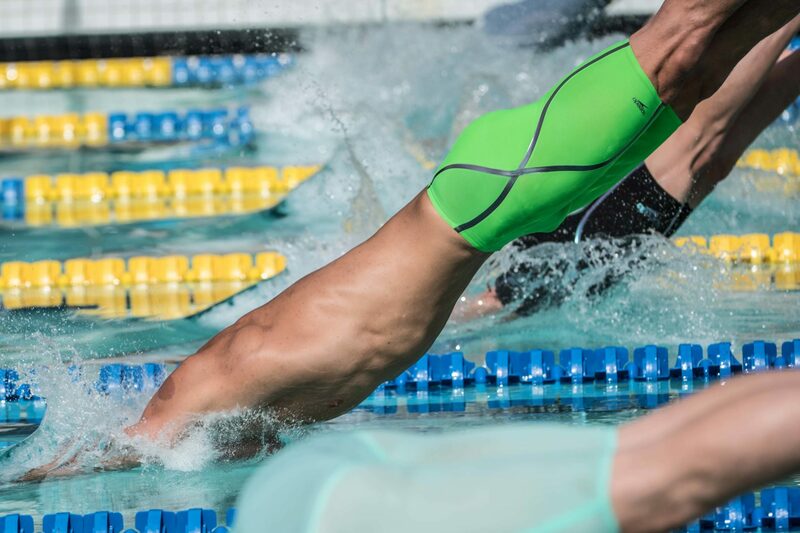 Mizuno, the global specialty sporting goods company, furthered its commitment to the U.S. swimming market and on December 12, 2018 announced it had signed American freestyler, Blake Pieroni, in his first professional contract. Pieroni was the first sponsored swimmer for Mizuno USA. 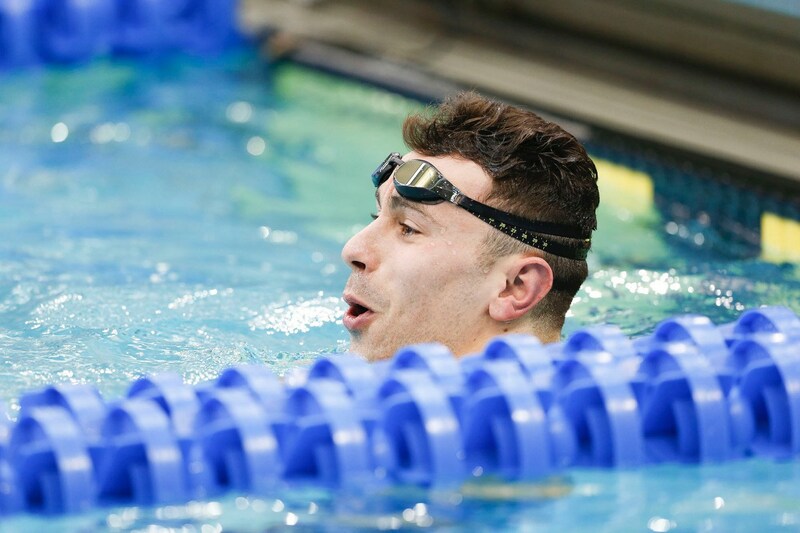 On the first day of competition, Pieroni scored double gold, first individually in the 200 free, his first ever international individual gold. Next, Pieroni took the second leg of the men’s 4×100 free relay, where the USA won in world record time. Pieroni led off the men’s 4×200 free relay, which wound up placing 4th, just outside of the medals. On the final day of competition, Pieroni swam prelims of the 4×100 medley relay, which went on to win gold in finals. He also placed 8th in the final of the 100 freestyle.